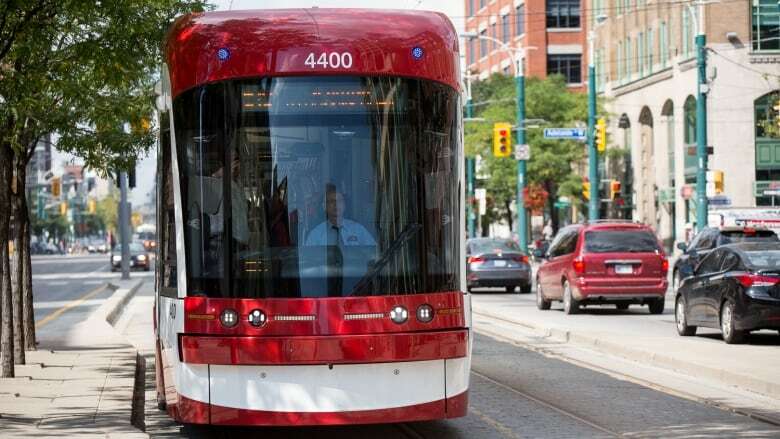 Bombardier Transportation vowed Monday it is taking steps to speed up delivery of new streetcars to the Toronto Transit Commission, but the company said it will only deliver a total of 16 of the vehicles this year. The TTC currently has 17 of the new low-floor streetcars in service — three of which were delivered earlier this year. That means only 13 more streetcars will arrive by the end of 2016. "Since I've taken over my new role, I have made an assessment of top priorities and the TTC LRV project is clearly one that I am addressing immediately," said Benoit Brossoit, who recently took over as president of Bombardier Transportation Americas. The streetcars are assembled at Bombardier's plant in Thunder Bay, Ont. The company said it will now use a plant in La Pocatière, Que., to provide components, such as underframes and cabs, that will go to Thunder Bay for final production. The company said it is its "manifest resolve to deliver as committed all 204 vehicles by the end of 2019." The announcement from Bombardier comes after TTC CEO Andy Byford said last week that he had expressed his "complete frustration and dissatisfaction with Bombardier's current performance" to Brossoit. "I am unable to confirm a delivery schedule, but it is evident that Bombardier will not hit the four vehicles per month that we were promised as recently as last month," Byford said in a monthly report. "Bombardier acknowledges the disappointment of the TTC with regards to delivery of this project so far, but is still committed as ever to support its customer in the full delivery of this order," the company said Monday.